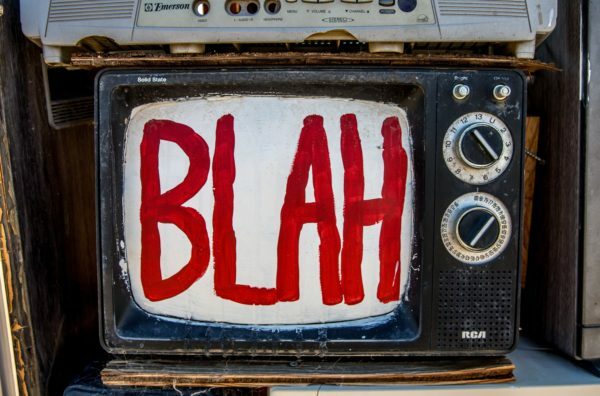 This really got me thinking, and I realized that settling – living a life that’s more “blah” than “brilliant” – has serious implications for your professional and personal outcomes. The question is, What can you do about it? The up side is that, once you’re gutsy enough to admit you’re settling, you’re probably at a point where you’re also gutsy enough to start doing something about it. Accept that settling is a choice. This is one of my favorite soap boxes: the fact that we actually do have far more choice about our actions and situations than we may realize (or admit to). The problem with settling is that it’s typically a choice made unconsciously. That’s a far cry from intentionally choosing to hold off on a course of action until certain criteria are met. For example, a woman might choose to hold off on officially launching a business until the kids get to be upperclassmen in high school, because her paycheck job requires less time and provides more predictable income than a start-up business would. That’s not settling; that’s strategic. Then, once the youngest starts his junior year – look out, world! Do you choose by default or design? Please note that acknowledging and accepting you’ve settled for something less than optimal is not the same thing as beating yourself up over it! Acknowledging and accepting are emotionally neutral, while beating yourself up is obviously judgmental. You’ll get far better results with far less stress if you hang out in a judgment-free zone as often as possible. Identify the short-term benefits you get from settling. I firmly believe that any situation has some positive aspects to it. Even if the benefits don’t make sense to anyone else, there’s something you get from settling. What might those benefits look like? There are as many potential benefits as there are individuals. What are yours? Decide if you’re willing to accept the long-term consequences of settling. Again, everyone’s experience will be different, but there will inevitably come a day when you realize you’ve paid a price for settling for less than what your heart really wants. So think about your current situation. Are you settling for something “good enough”? Or are you willing to go after whatever it is that’s worth a wild and crazy happy dance? This entry was posted in choice and tagged take action. Bookmark the permalink. 2 Responses to If you settle for what you can get, you’ll probably never get what you could. Excellent article, Kathleen! Oh, dear, though–this means I have to THINK! LOL.